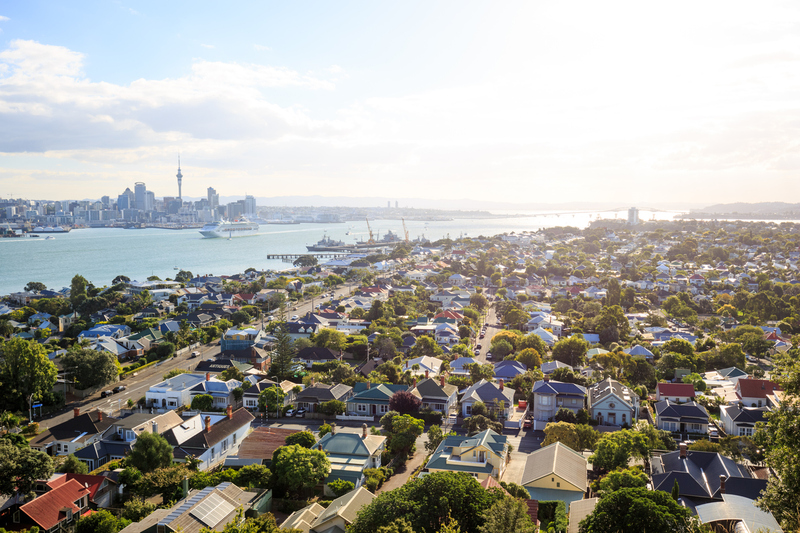 Property values in New Zealand continued to grow at a modest pace in November with the annual growth rate remaining below 4%, as it has done for 13 months now (since October 2017). The November CoreLogic QV House Price Index found that property values in New Zealand grew by 1.3% over the last three months. Auckland remains a key influence and while its quarterly growth hit the positives (0.1%) for the first time this spring, the long term trend of no effective growth in two years continues to illustrate the widespread unaffordability in our largest city. Tighter banking standards have helped define the property market in 2018, with more robust expense approximations restricting the number of available borrowers. This has led to somewhat of a mortgage rate war, with banks jostling to secure market share from each other. Any lift these favourable mortgage rates (or indeed the loosened LVR limits) could provide to demand could be countered by banks needing to hold more capital against their loans, as detailed in the latest Reserve Bank of NZs Financial Stability Review, which could actually lead to higher mortgage rates and/or tighter credit rationing. Where the market at; and what is the outlook? Well, The QV House Price Index for November illustrates the continued strength among the provinces (especially the more affordable ones) and a few main centres. A competitive borrowing environment, with banks offering low mortgage interest rates has enabled good borrowers to secure the finance required to continue to act in the market. Good borrowers are those who can meet more stringent requirements from the banks, most often by way of more prudent expense calculations. There are very early signs of fixed mortgage interest rates starting to lift which could be a pointer to what 2019 has in store. But with a stable OCR rate of 1.75% and our relative insulation from many international changes so far we’re not expecting a significant increase. With many market fundamentals remaining strong; low unemployment, strong job growth and still-strong (if slowing) population growth plus LVR restrictions being loosened again on 1 January 2019, the year ahead looks to offer much of the same as 2018. We’re about to hit the usual holiday slowdown for listings and sales across the country and it won’t be until February when we can get a good feel of how the year is shaping up. Things to look out for in 2019 include investor behaviour in light of more regulation and the Government’s continued influence in the market - firstly via KiwiBuild (first target of 1,000 homes by 1 July 2019) and also by their acceptance or otherwise of the Tax Working Group’s final recommendations in February. For a quick round-up of the main centres and provinces, keep reading. Within Auckland there isn’t too much variance in property value change across the city, with quarterly changes ranging from -0.7% in Rodney to 0.9% in Manukau. Hamilton (and to a lesser degree Wellington) saw dips in value in November, however quarterly growth in both places remains in the positives after significant gains in the prior couple of months. Within Wellington, growth slowed in November, however quarterly growth remains high in both Lower Hutt (5.8%) and Porirua (4.6%). Both Wellington City (3.5%) and Upper Hutt (2.4%) values continue to increase but at slightly slower rates than witnessed last month. Dunedin remains the standout of the main centres, with annual value growth extending to 11.7% at the end of November. First home buyers have strengthened their presence in the city with a record share of sales so far in Q4 (25.7%), and investors (37.9%) continue to take advantage of a lower average property value ($432k) which provides a higher gross yield (4.3%). Modest gains remain in Tauranga, with quarterly growth holding at 1.2%, taking the annual percentage change to 3.9%. People moving house are a core part of Tauranga’s market and activity from this group remains strong (33% in Q4 so far), which is in contrast to their activity across many other main centres. There remains no real change to property values in Christchurch and this is mostly true of the wider district too, with both Selwyn and Waimakariri continuing to experience only very minor annual growth of 1.3% and 1.6% respectively. Across the provincial centres, annual value growth continues to hover around 8% with Whanganui seeing the greatest value change over the last year at 18.1%. Value growth in Invercargill has started to slow, although annual growth of 12.2% remains relatively high. The rate of value change in Whangä?rei has picked up in the lead-up to summer with 6% quarterly growth taking the annual rate to 12.7%. Investors, many cashed up, have been an increasing influence so far this quarter, with 41.1% of sales going to this group. Reports of the foreign buyer ban impacting values in Queenstown Lakes District via reduced asking prices could also be showing through in the house price index for the District as the annual rate of growth slowed from 8.0% to 6.2% in November, but it is early days. Meanwhile property values in the more affordable Palmerston North grew further over the month, with the quarterly rate of 5.1% being the greatest lift for over 10 years. Property values in the Hawke’s Bay are seeing variable change, as growth has been more restrained in Hastings (5.1% annual change) than in Napier (10.2%). Value growth has picked up slightly in New Plymouth (2% over the last three months) after experiencing effectively no growth in the winter months (-0.3%).